MONTREAL, Dec. 22, 2017 /PRNewswire/ - CN (TSX: CNR) (NYSE: CNI) today announced that Calgary-headquartered Toyo Engineering Canada Ltd. has been selected to design and build a pilot project to produce CanaPuxTM pellets, a key step toward demonstrating the commercial viability of moving bitumen by rail in solid form. "Working with InnoTech Alberta, CN has developed CanaPuxTM, an innovative product and new way of transporting bitumen that puts both safety and the environment at the forefront," said Janet Drysdale, vice-president of corporate development & sustainability at CN. "This partnership with Toyo continues our development of a new supply chain that has the potential to unlock offshore markets for Canada's energy producers." CanaPuxTM are solid, dry pellets that will meet the rigorous strength requirements for bulk transport, float in water and do not leak or dissolve, so there is minimal risk of environmental contamination to oceans, lakes and rivers. Toyo will participate in a closed-loop pilot project to create equipment that can solidify and re-liquefy up to 1,000 barrels of bitumen per day. 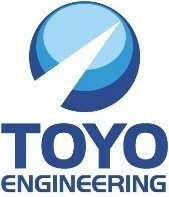 "Toyo is proud to partner with CN and InnoTech Alberta to build upon the innovative work they have done in the development of CanaPuxTM pellets," said Taro Takahashi, president of Toyo Engineering Canada Ltd. "Demonstrating how bitumen will be transformed from liquid to solid form and loaded into rail cars will be key to the successful launch of this new supply chain." CN and Toyo will create a presentation centre where interested shippers, potential commercial partners and key stakeholders can see the equipment and how the CanaPuxTM pellets process would work from origin in Alberta to potential customer destinations in markets around the world. "This is an exciting step in the development of CanaPuxTM pellets and we look forward to working with Toyo to move this oil sands innovation forward," said Ross Chow, managing director of InnoTech Alberta. With the pilot, CN will produce CanaPuxTM pellets for further large-scale supply chain testing, including movement of pux in rail gondola cars, unloading at port locations, storage in ground piles and loading of ships. At the same time, CN continues to explore potential licensing options for CanaPuxTM and identify potential customers. Initial conversations have been met with enthusiasm from producers, potential transloaders, ports and refiners. CN is a true backbone of the economy whose team of approximately 23,000 railroaders transports more than C$250 billion worth of goods annually for a wide range of business sectors, ranging from resource products to manufactured products to consumer goods, across a rail network of approximately 20,000 route-miles spanning Canada and mid-America. CN – Canadian National Railway Company, along with its operating railway subsidiaries – serves the cities and ports of Vancouver, Prince Rupert, B.C., Montreal, Halifax, New Orleans, and Mobile, Ala., and the metropolitan areas of Toronto, Edmonton, Winnipeg, Calgary, Chicago, Memphis, Detroit, Duluth, Minn./Superior, Wis., and Jackson, Miss., with connections to all points in North America. For more information about CN, visit the Company's website at www.cn.ca.